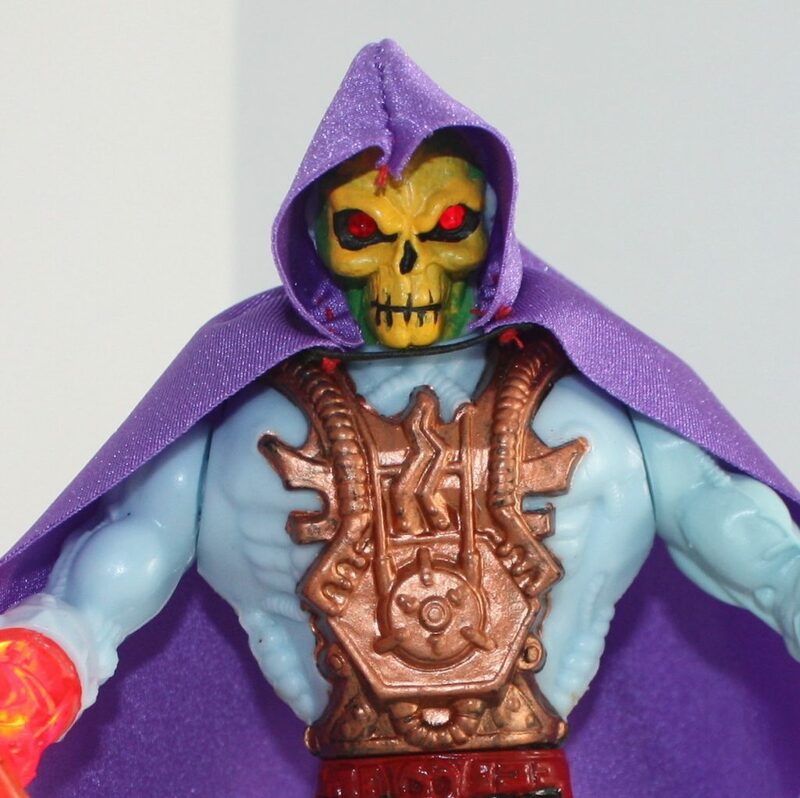 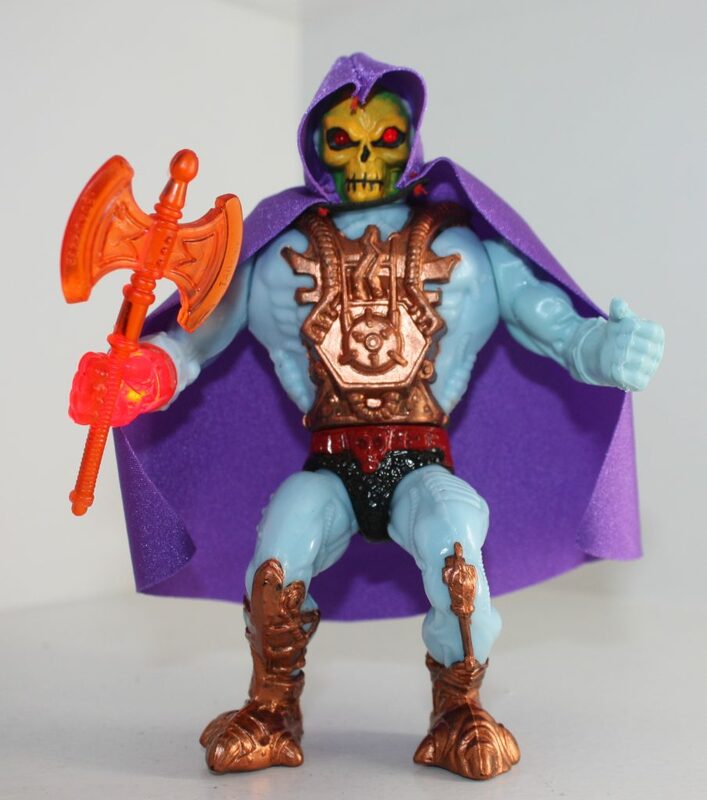 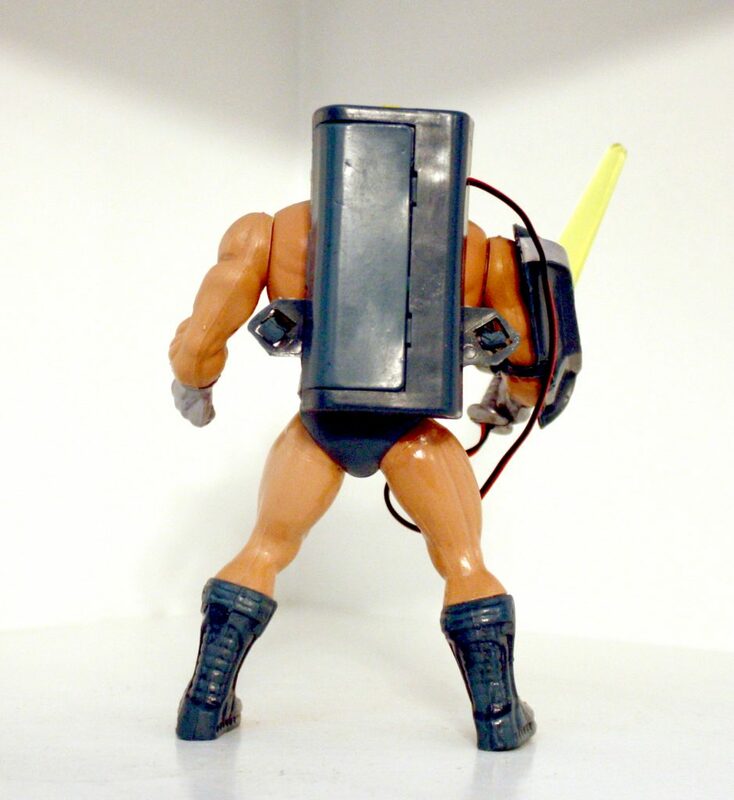 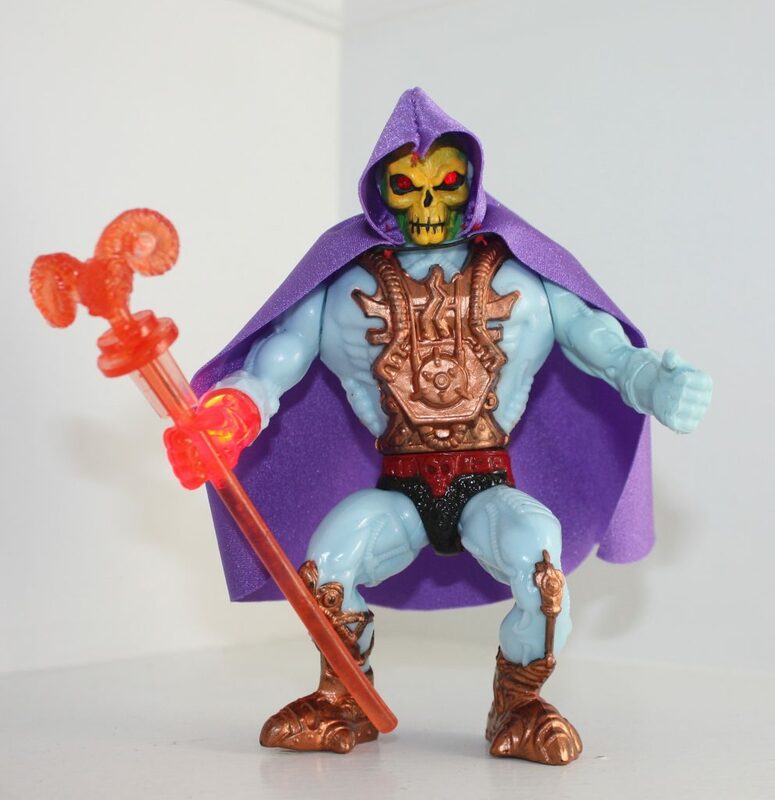 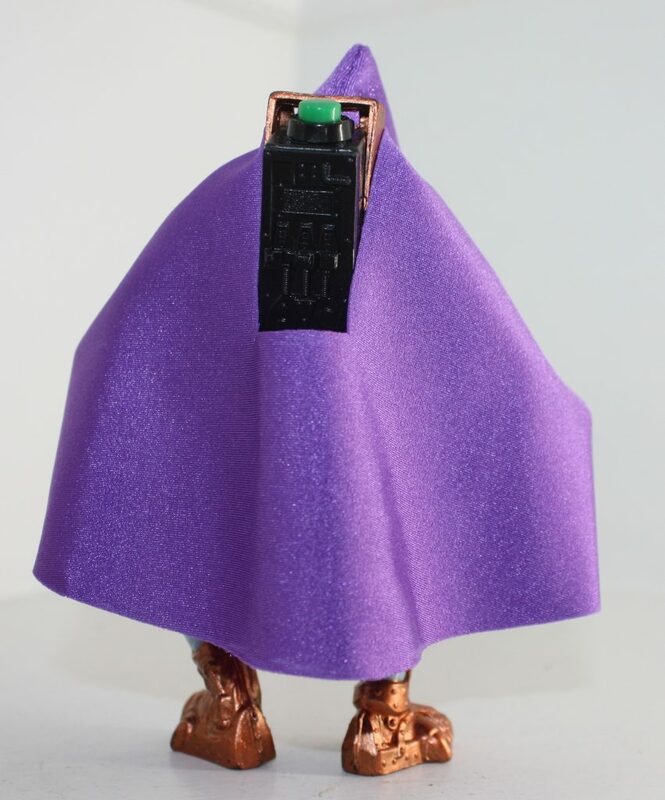 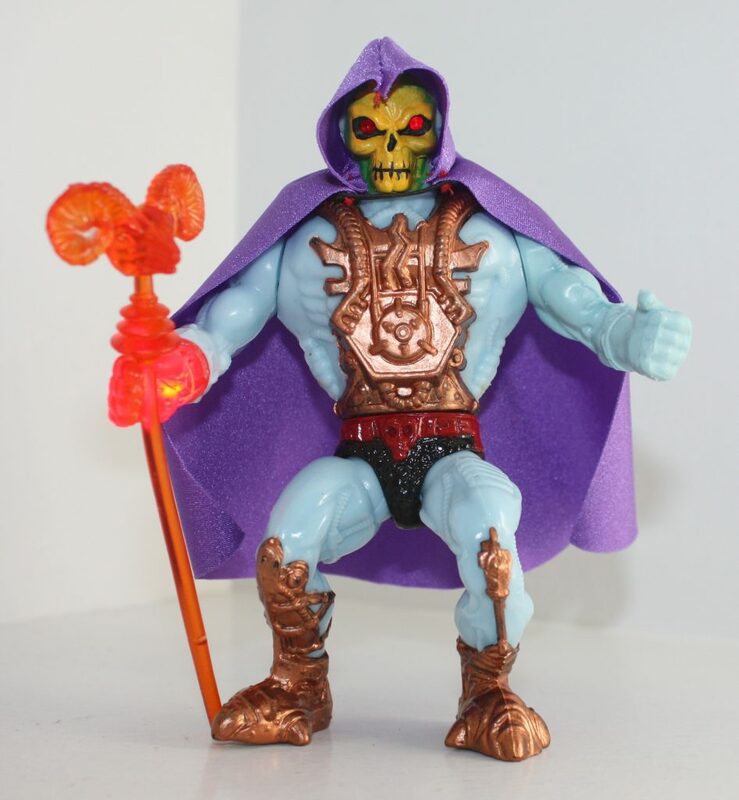 I haven’t had as much time as I’d like for writing blog posts lately, so I’ve tried to focus more on toy features than reviews of current offerings related to the vintage toyline. 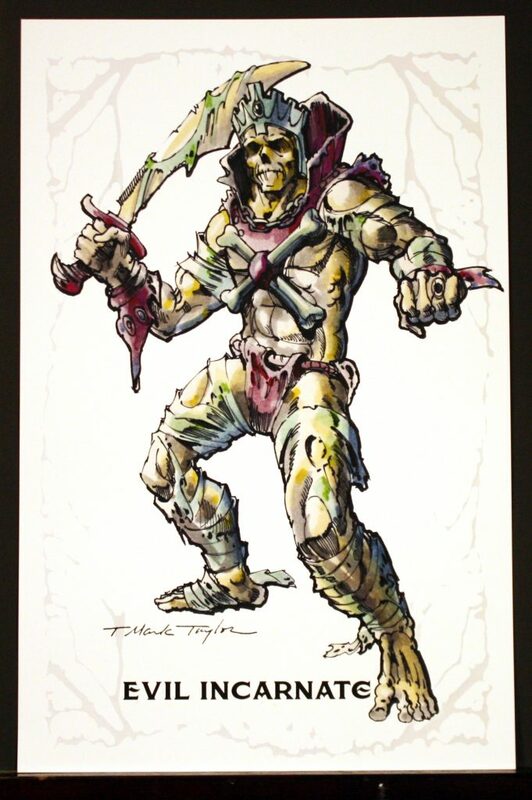 However, I would like to give a quick review of two portfolios from two of my favorite artists – Rudy Obrero and Errol McCarthy. 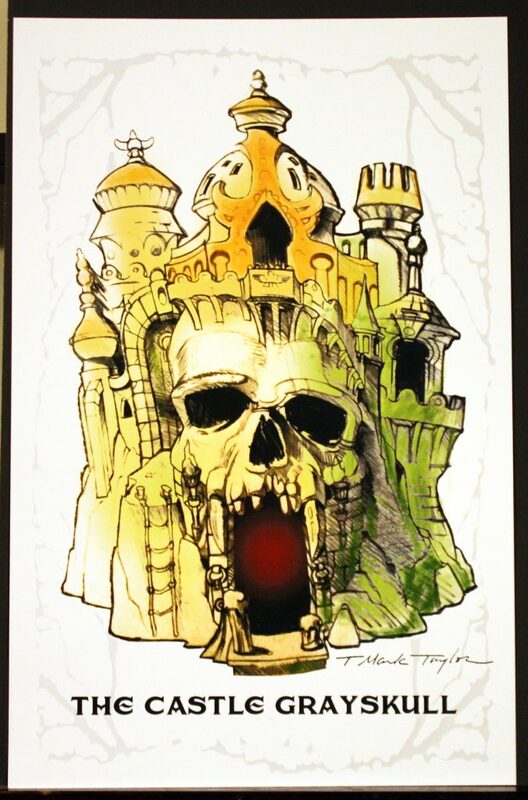 Produced by The Power and the Honor Foundation in collaboration with Super7, the portfolios consist of large, high definition prints of the artwork used on the original packaging. 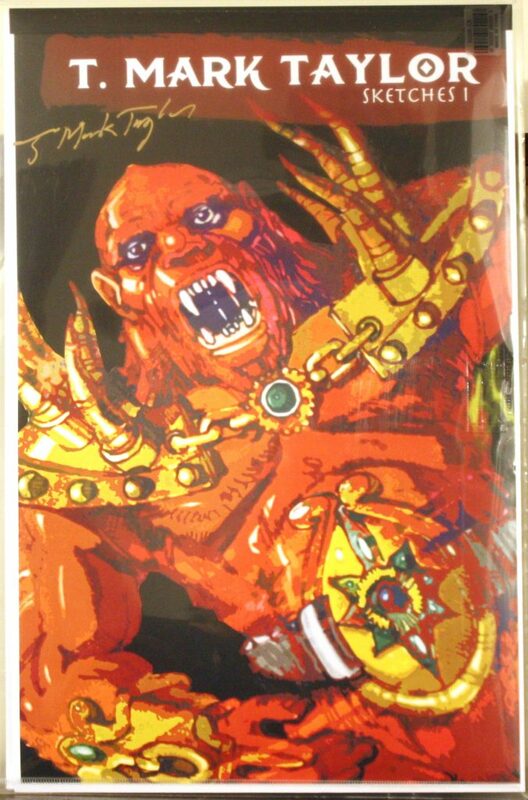 In Errol McCarthy’s case, it was the artwork used on the back of carded figures, starting in 1983, when the cardbacks switched away from the “8-back” format. 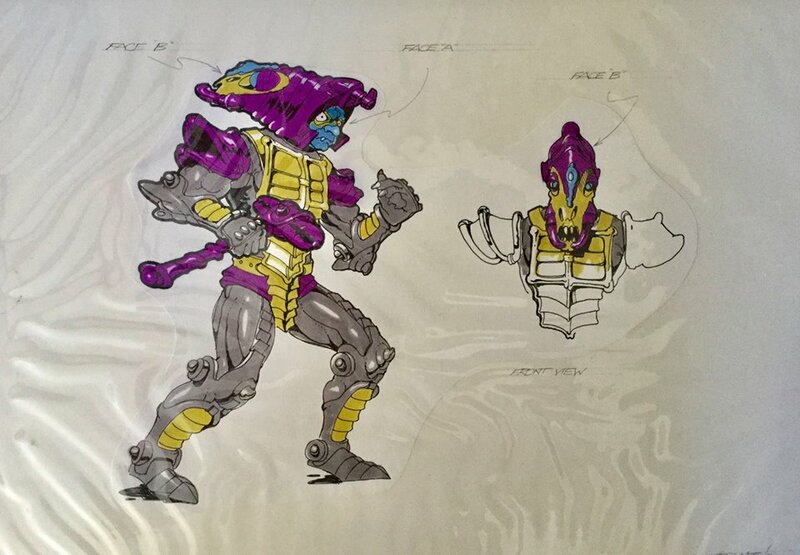 In Rudy Obrero’s case, it was packaging for playsets, vehicles and beasts, starting at the beginning of the the line in 1982. 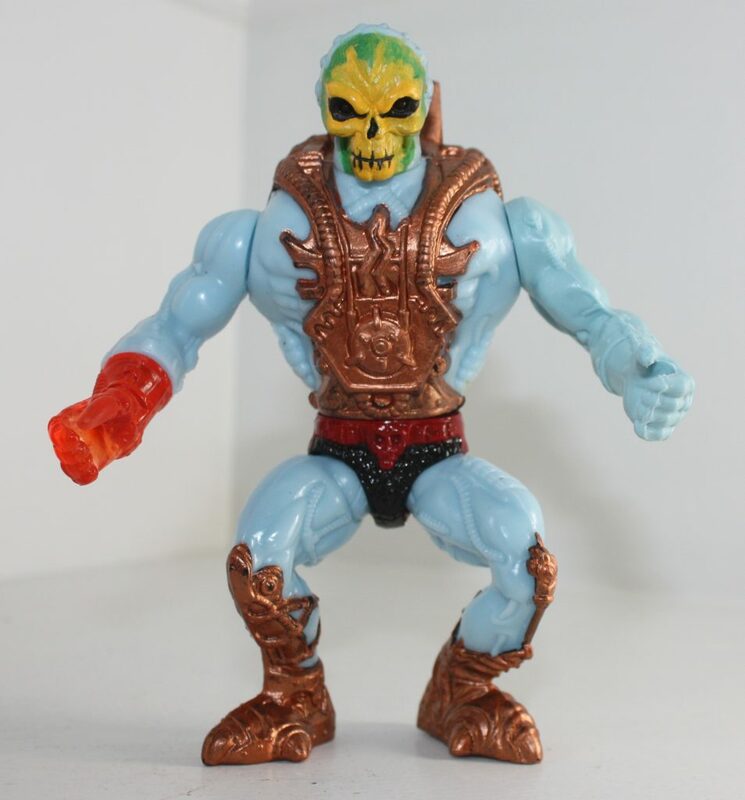 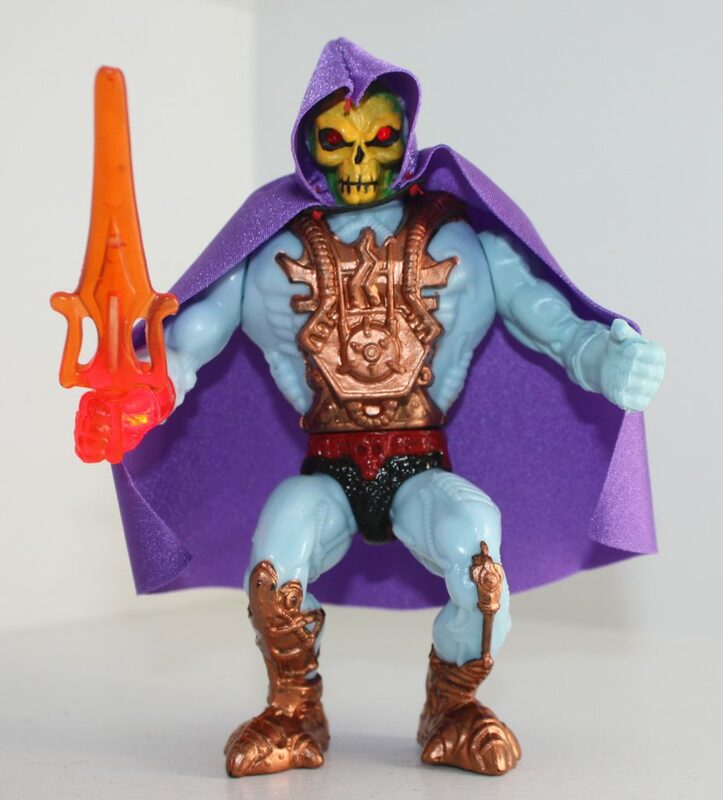 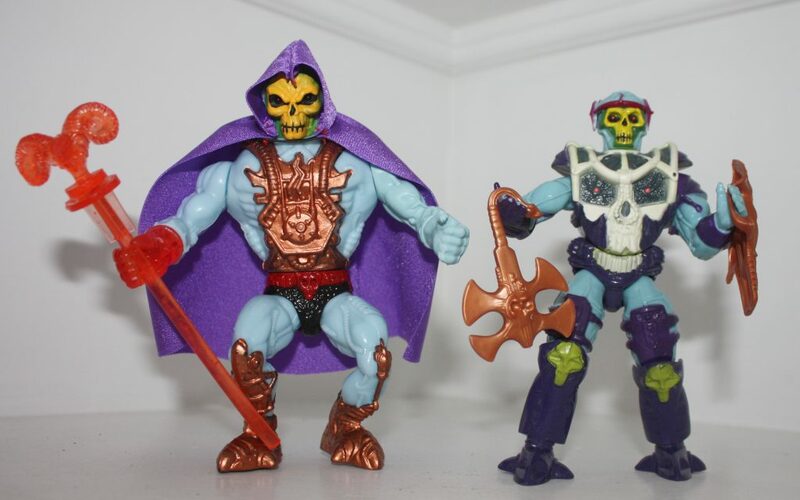 Rudy is my favorite artist to work on the Masters of the Universe toyline, so this set is particularly dear to me. 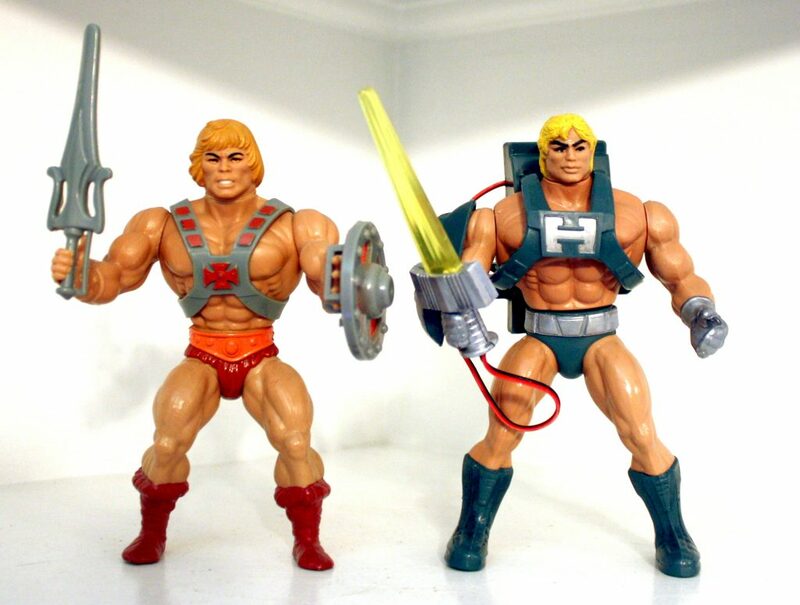 The chance to have nice crisp versions of Rudy’s Frazetta-like interpretation of these characters on one’s wall is not to be missed. 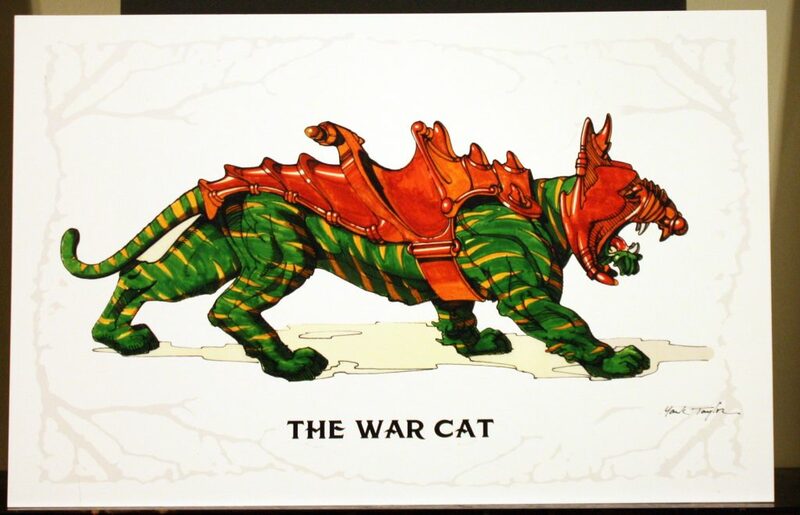 The inclusion of the original charcoal artwork for Battle Cat (the first piece of box art done for the toyline) is the icing on the cake. 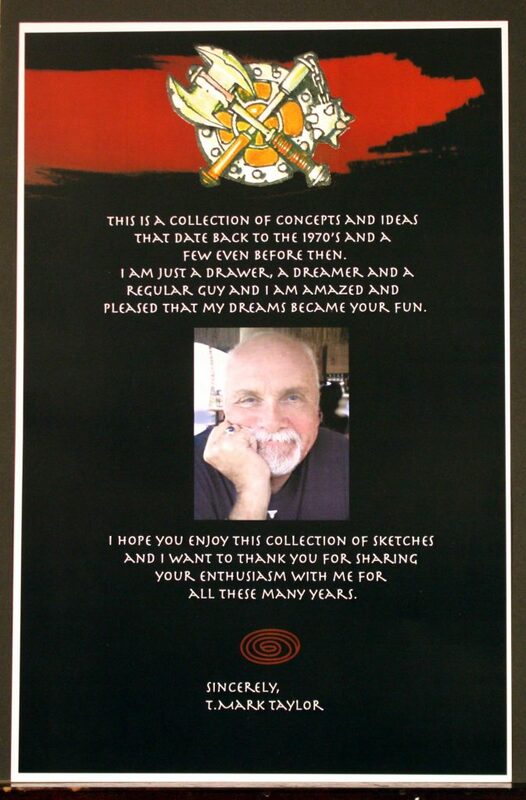 The original is owned by Eamon O’Donoghue, so we have him to thank that this piece is included in this collection. 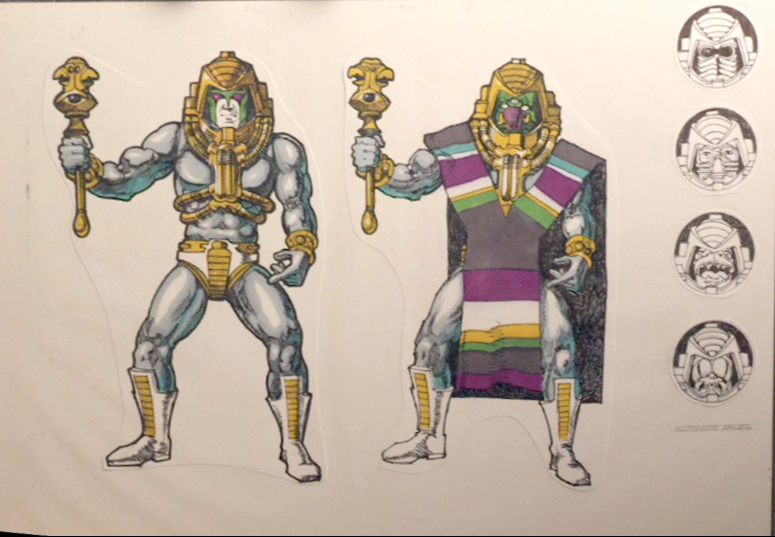 Note that in the charcoal drawing, He-Man’s pose is different from the final illustration in oils, and Castle Grayskull has the “pawn” piece on the top from the original prototype. 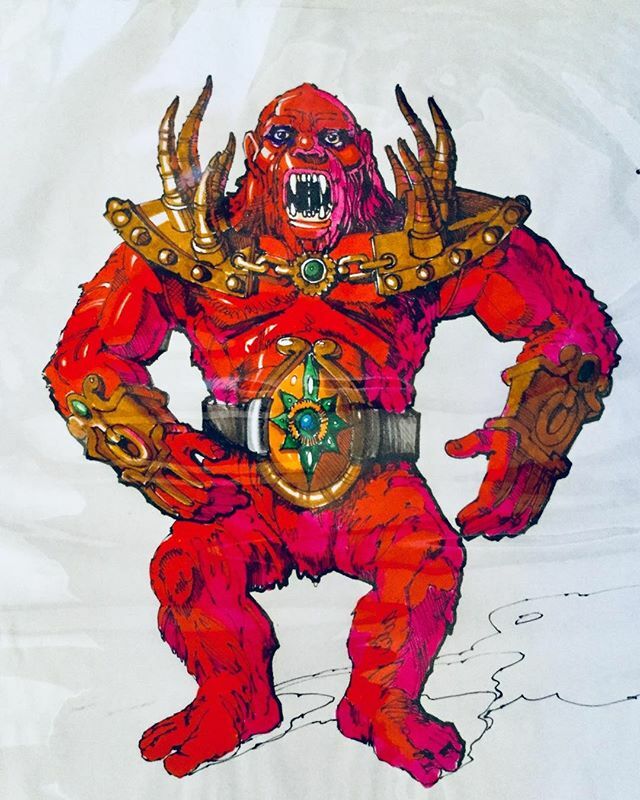 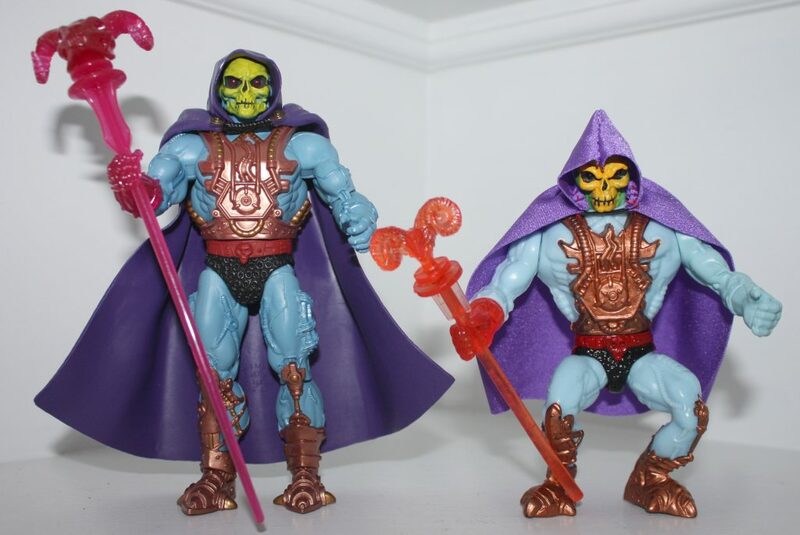 If you check out part one of my feature on MOTU box art, you might notice that there were some changes made to some of these pieces when they were printed on the actual packaging. 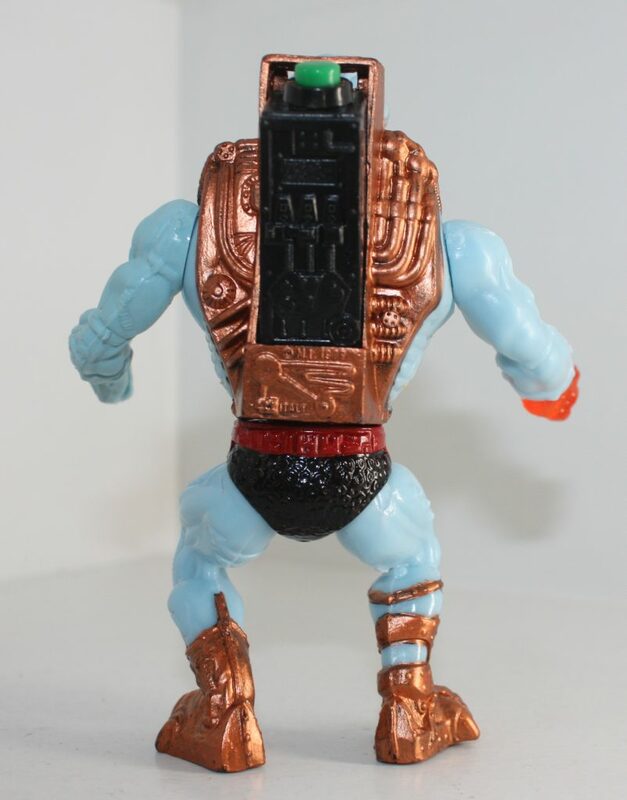 The most obvious is Battle Ram – the image was reversed and lightened for the packaging. 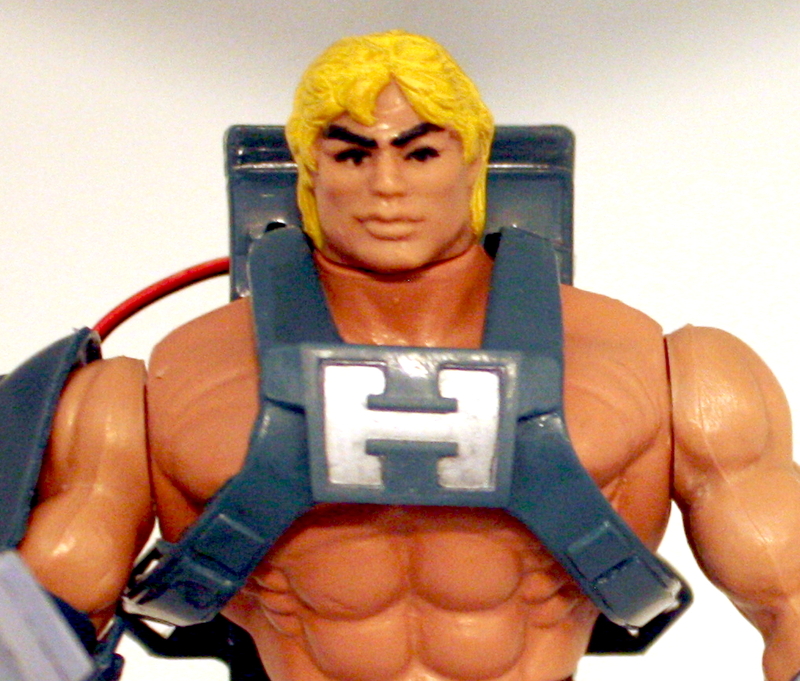 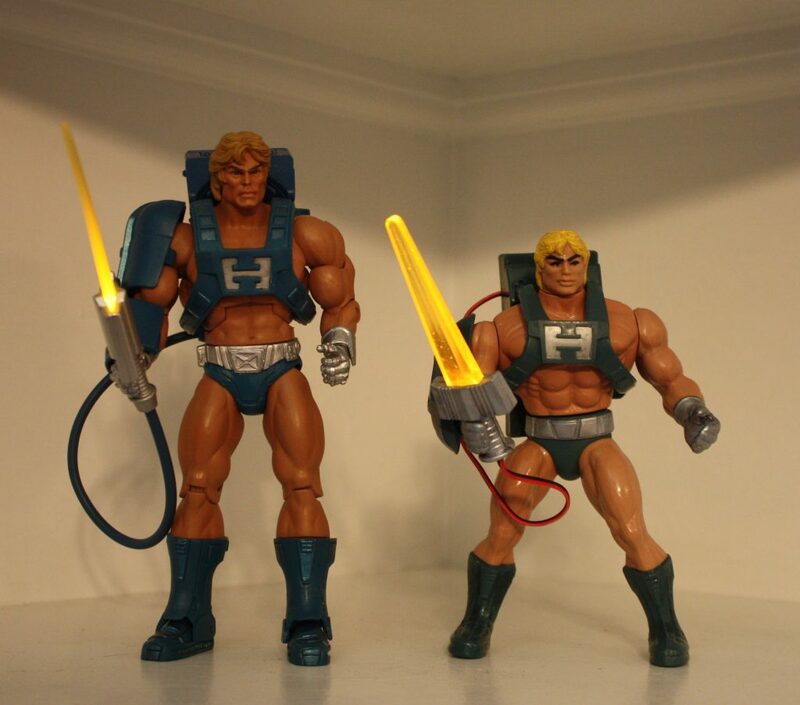 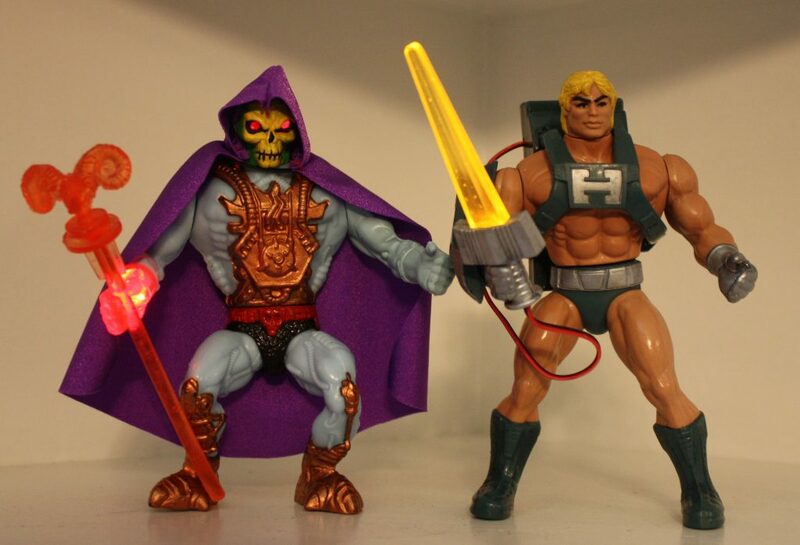 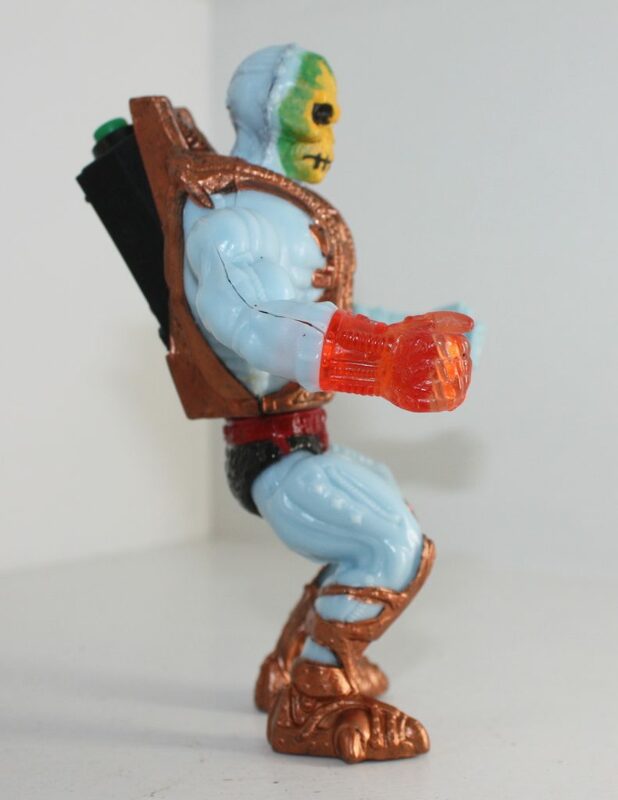 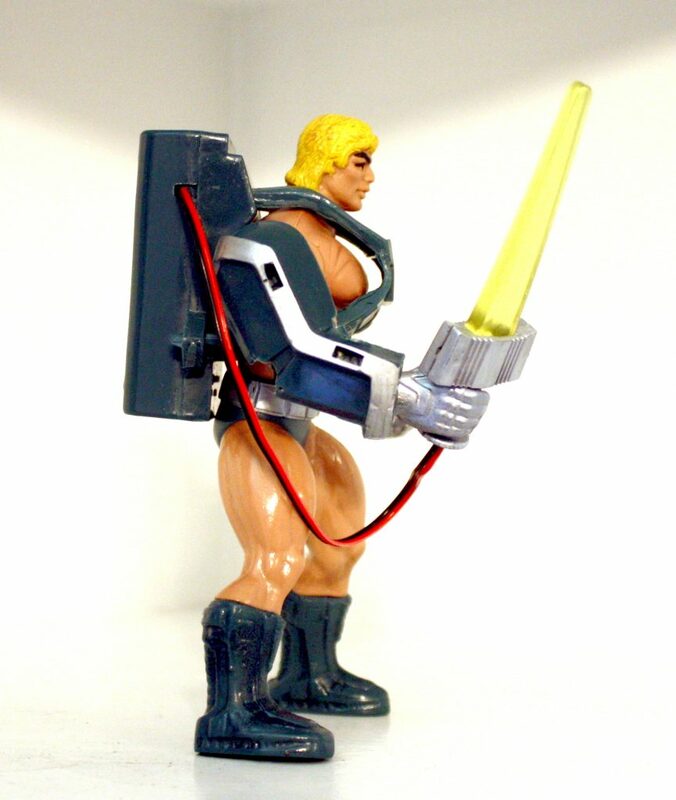 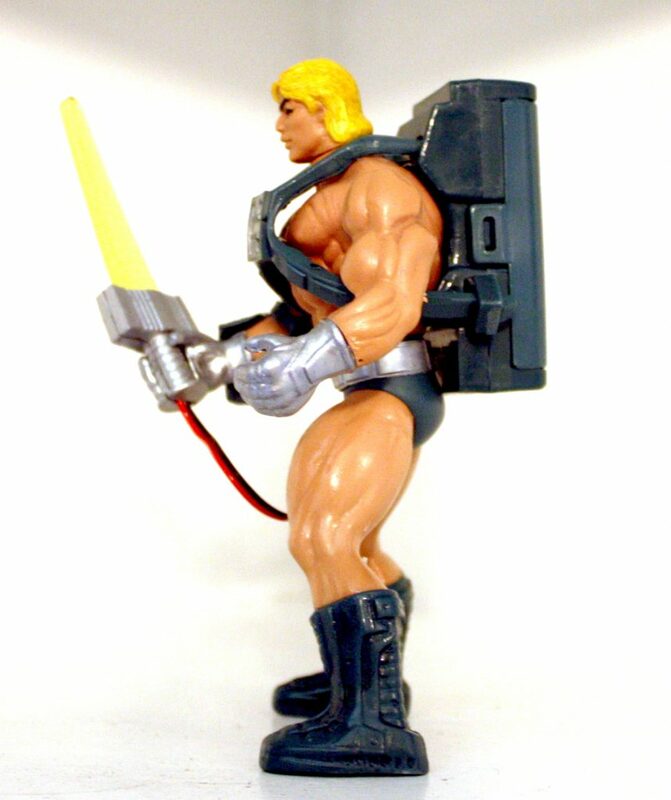 He-Man and Wind Raider, Castle Grayskull, and Battle Cat were also lightened and color shifted. 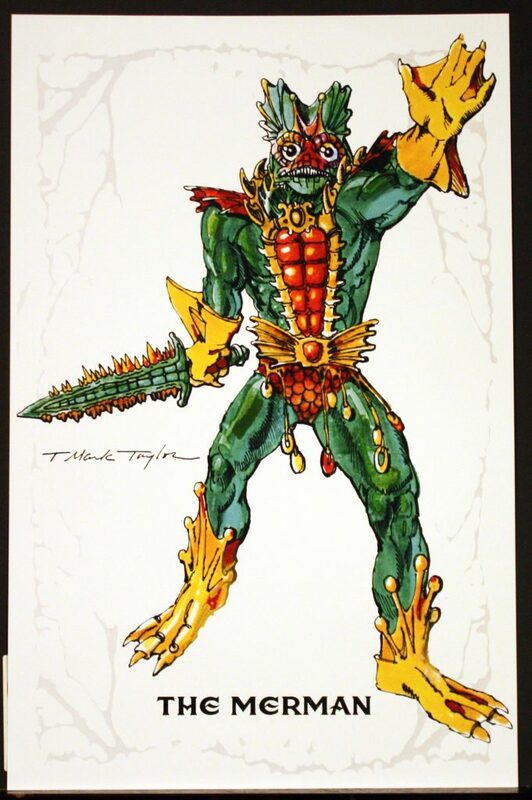 This particular portfolio does not include any of the illustrations Rudy did for toys that came out in 1983 – perhaps they will appear in a future collection. 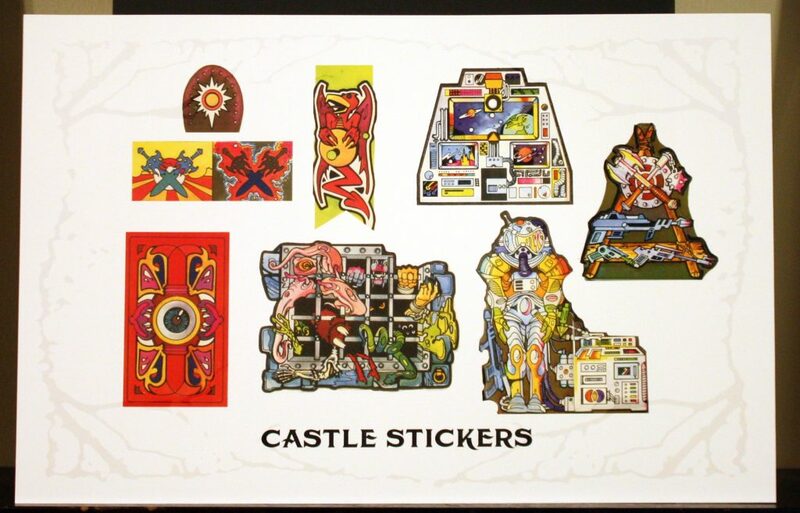 Errol McCarthy’s portfolio is of a more uniform size – the cardback illustration dimensions were all equally proportioned, while the box packaging was not. 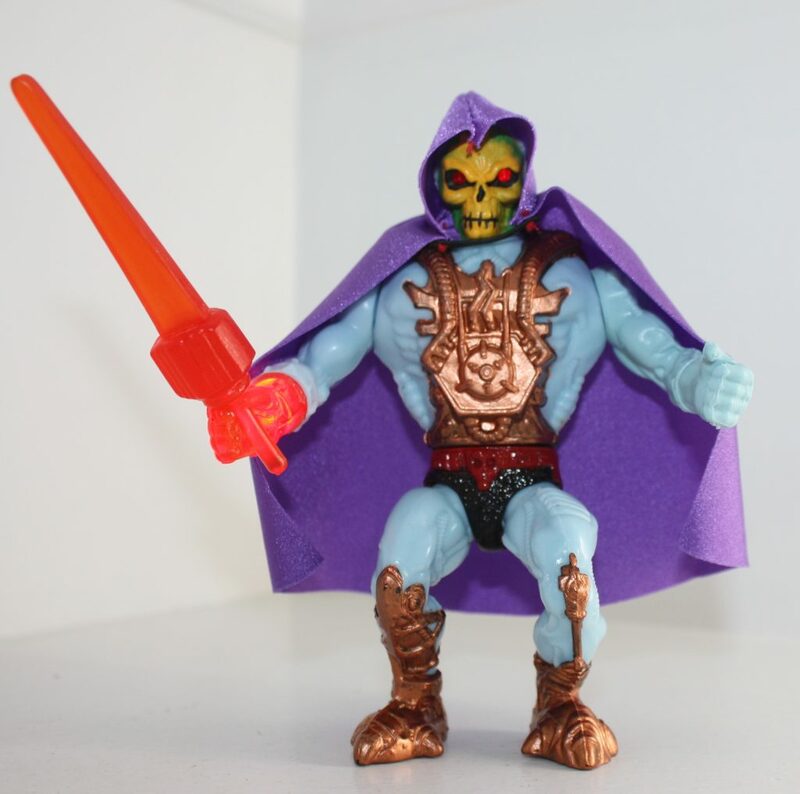 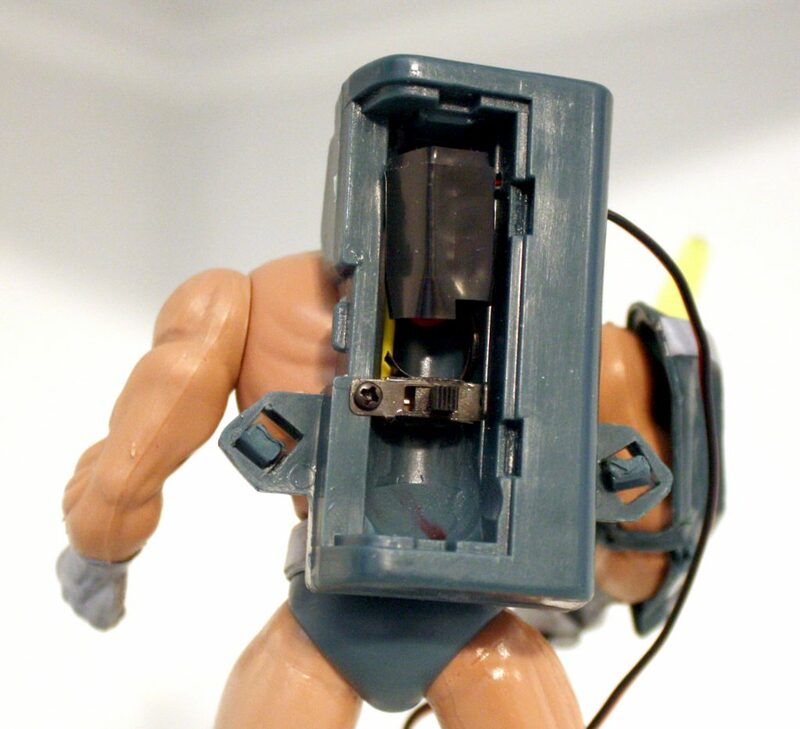 The McCarthy portfolio, like Rudy Obrero’s portfolio, focuses on the first year of the toyline. 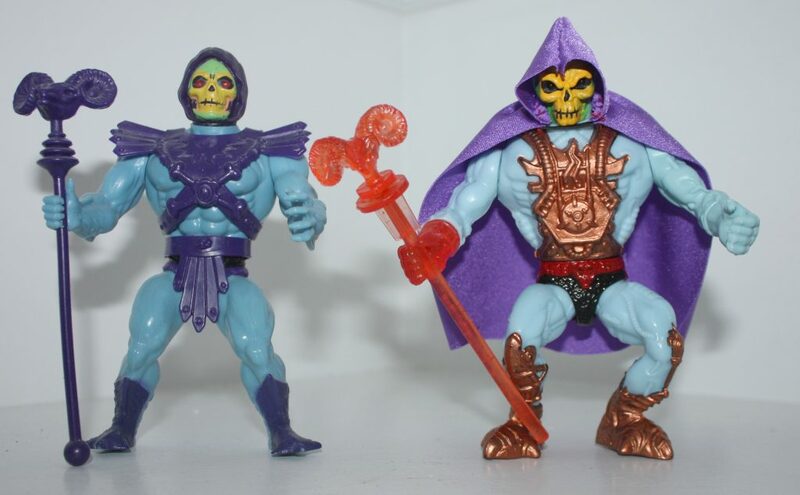 However, it also includes two pieces that were produced for 1983 and 1987 (Evil-Lyn and Faker, respectively). 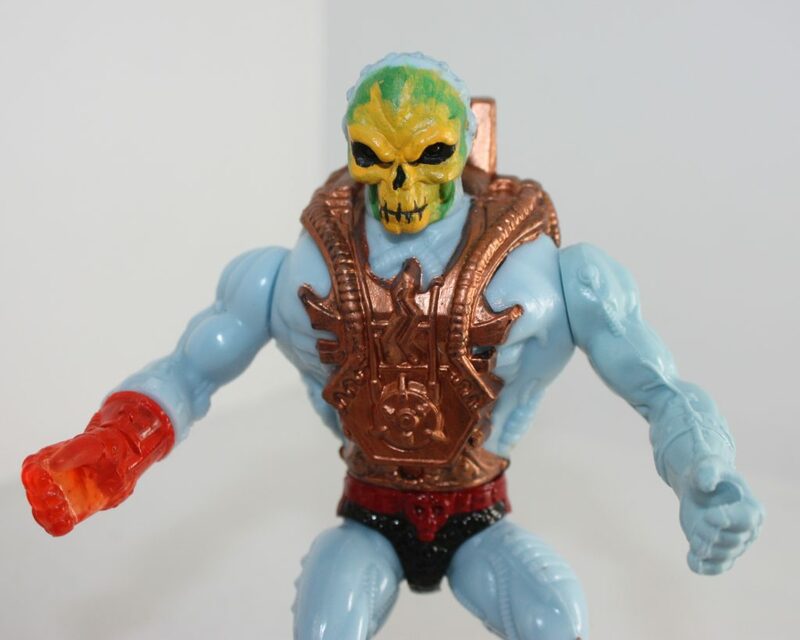 Faker was actually released in 1983 (or perhaps early 1982), but his original release featured the 8-back card. 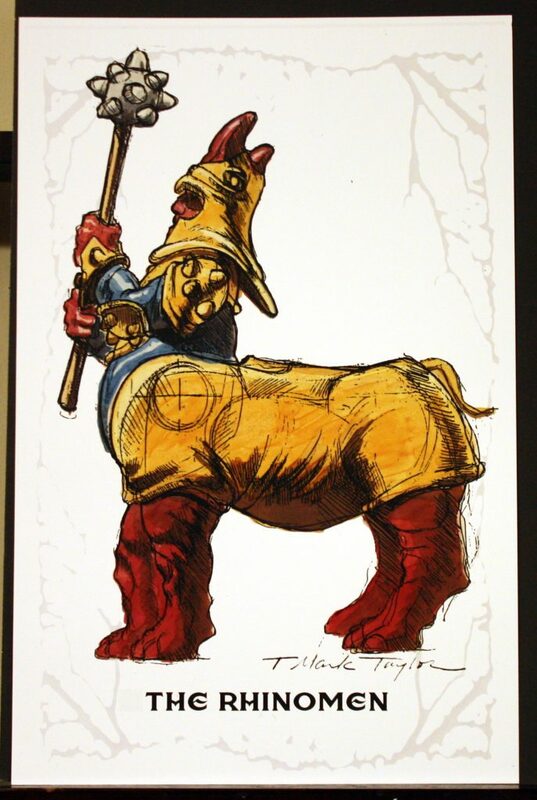 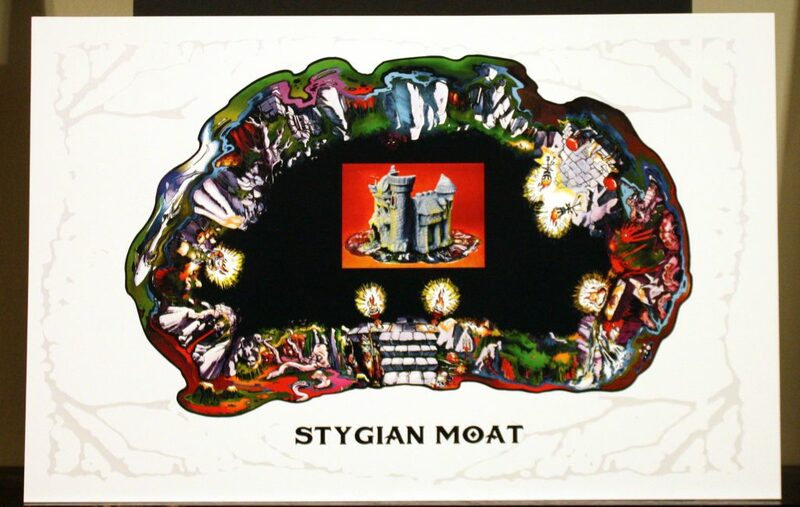 His re-release in 1987 featured the artwork included in this portfolio. 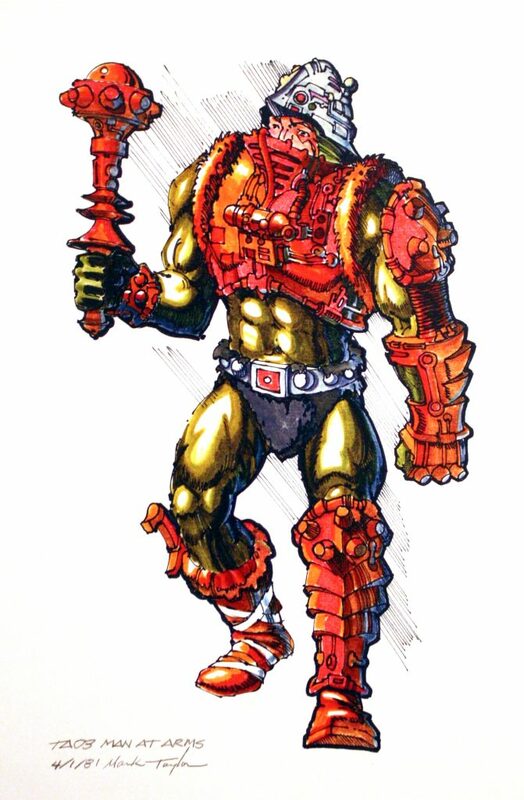 Perhaps Errol’s illustration was done earlier, but not used until 1987 – I’m not certain. 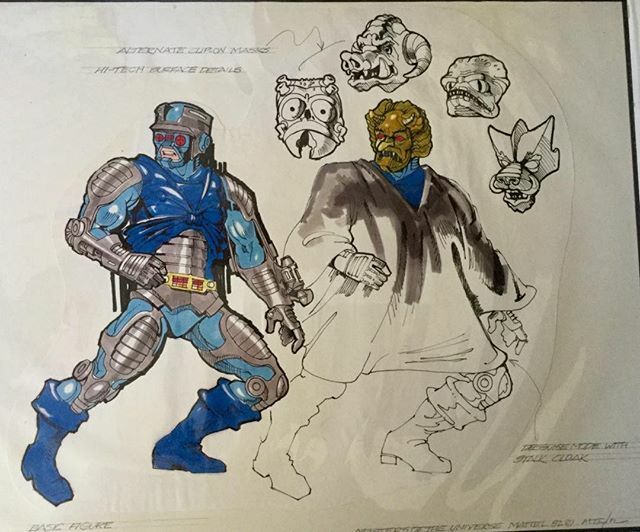 Update: Miguel Ángel in the comments confirms that the Faker artwork was indeed done much earlier than 1987. 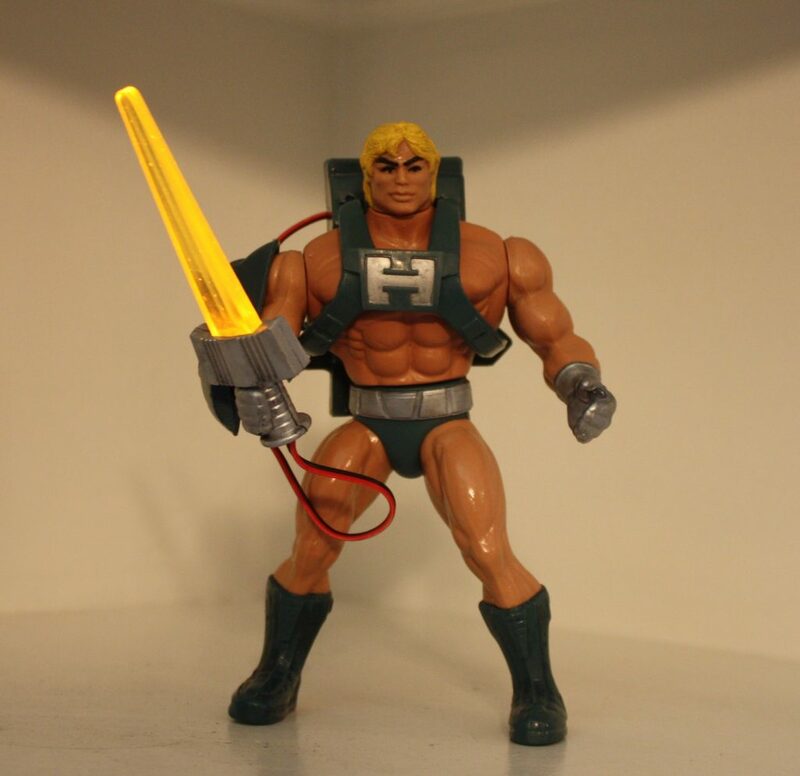 Thanks Miguel! 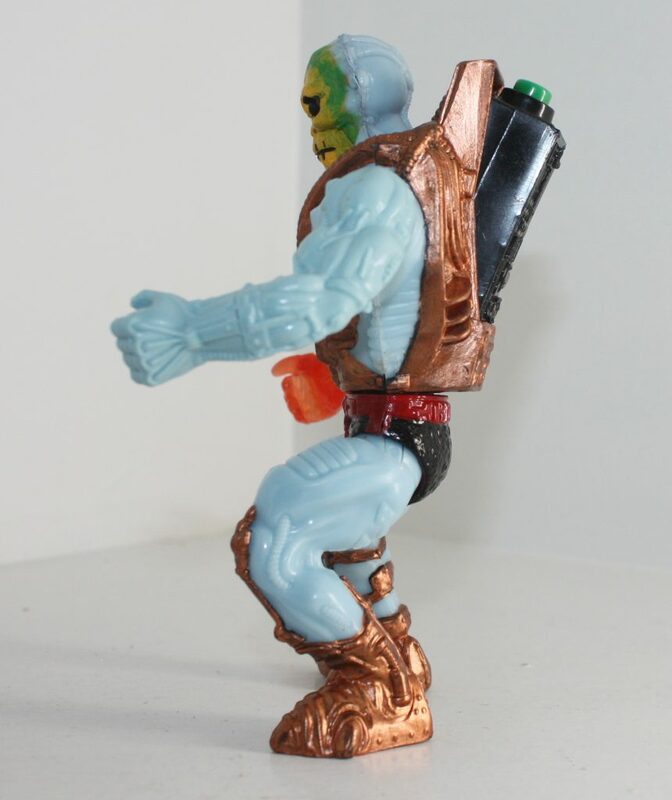 In Argentina, the 8-back blisters never came into use. 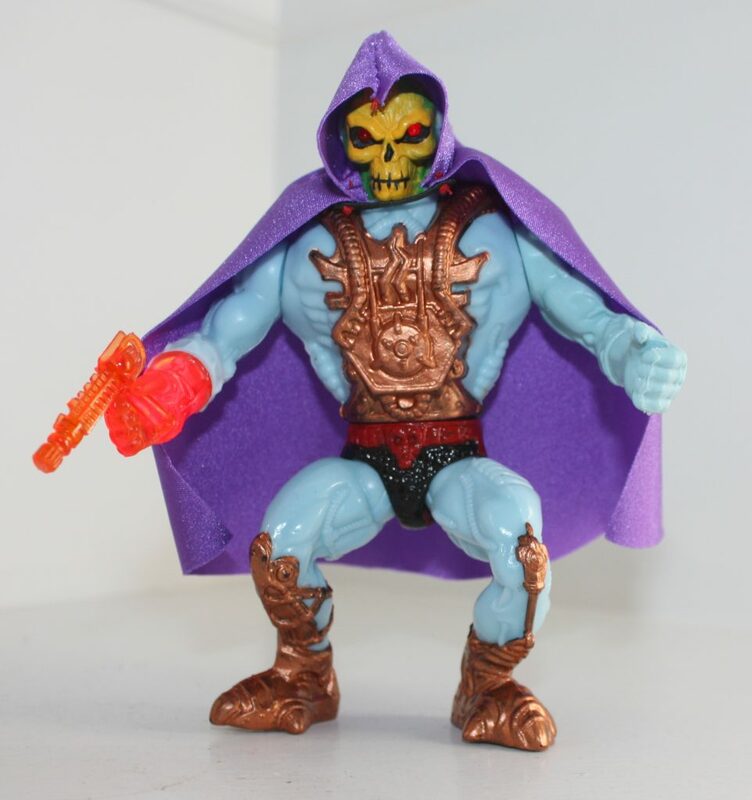 The figure of Faker was always packed with the blister that had the illustration of Errol McCarthy in the reverse and went on sale between December of 1984 and January of 1985. 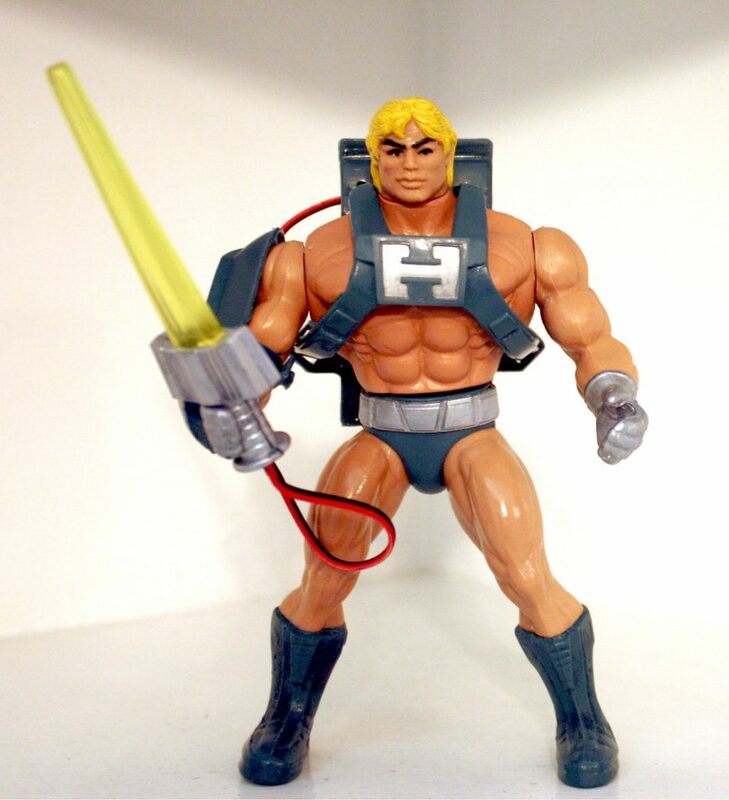 Obviously, that illustration of McCarthy about Faker already existed in 1984 and I dare to say that it was created in the same stage that the artist made those others for the 8 initial characters and those that would join them in the second wave … With the intention to relaunch and / or re-pack Faker in 1983, as with the other 8 of 1982? 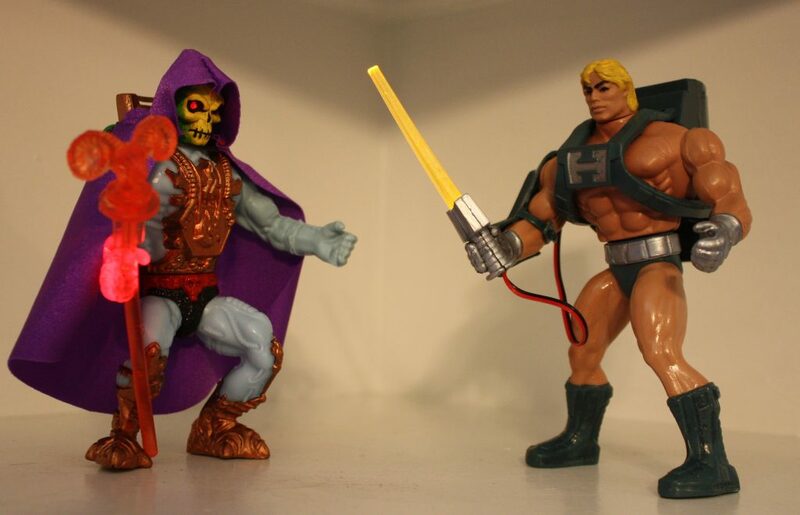 I would say yes, although for some reason that would only take place in 1987. 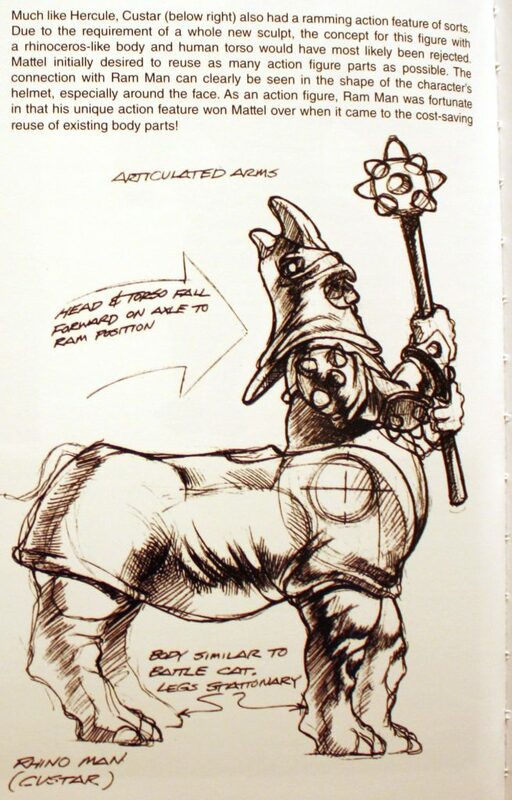 The illustration itself, however, was much earlier. 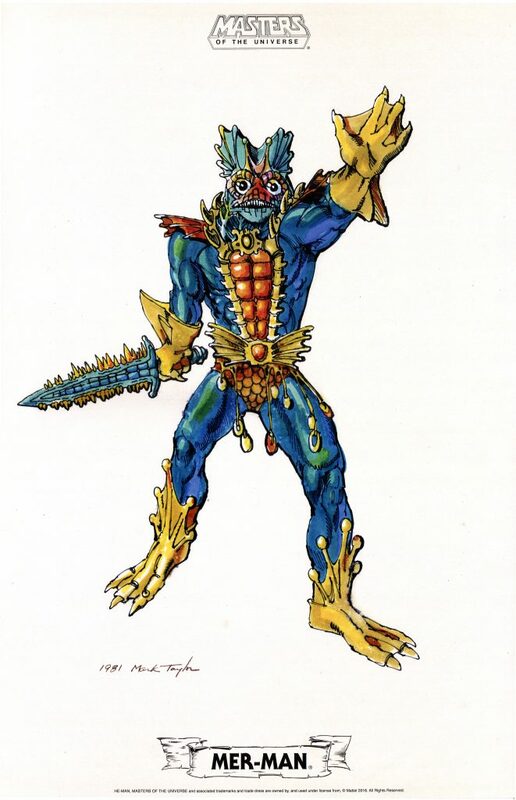 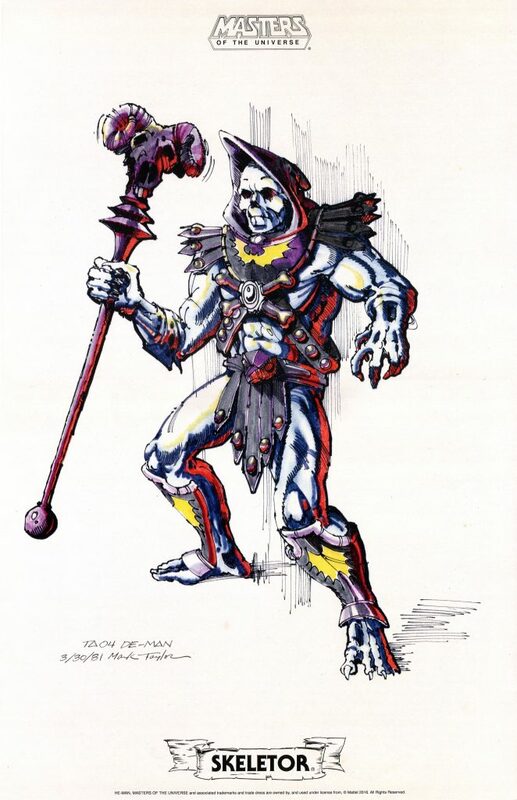 Errol McCarthy is another one of my favorite MOTU artists. 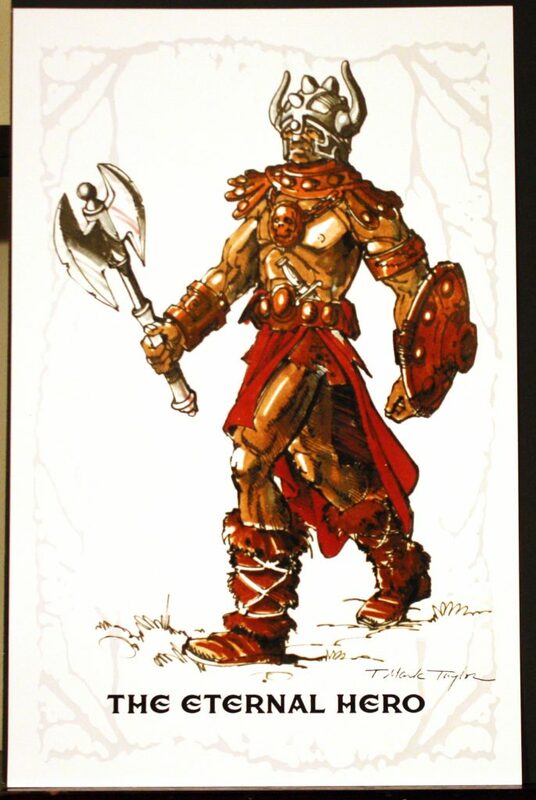 His vision for Eternia, like Rudy Obrero’s includes plenty of rocky and volcanic looking landscapes. 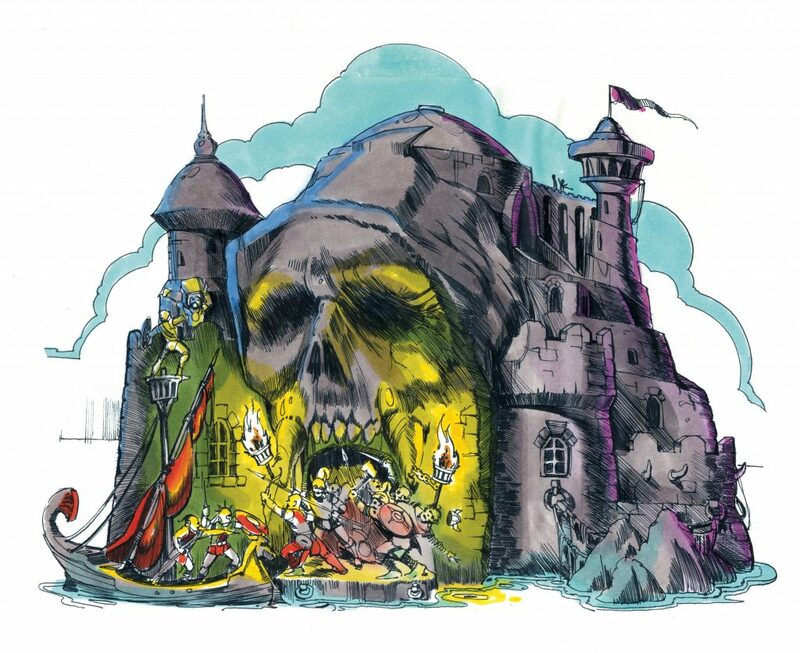 But he also has some cleaner, more familiar looking locations that speak to me as well. 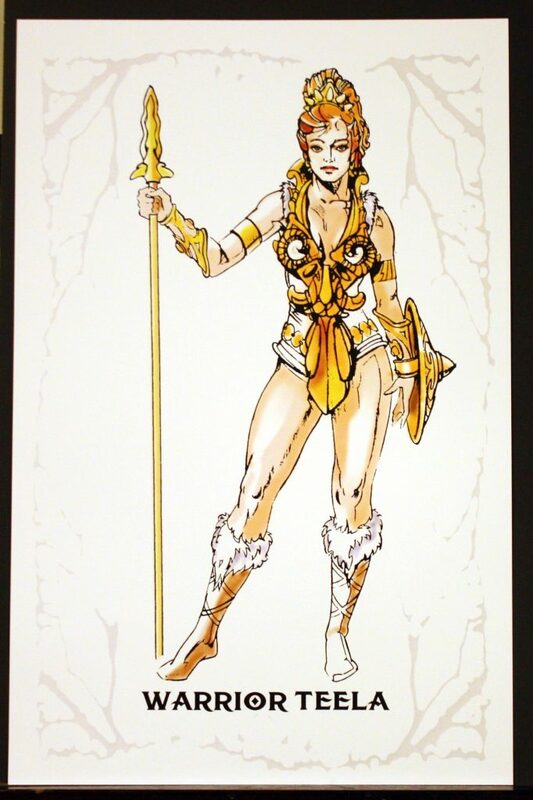 In fact, two of my favorite pieces are Teela and He-Man, which place the characters in a region with windswept, rolling hills. 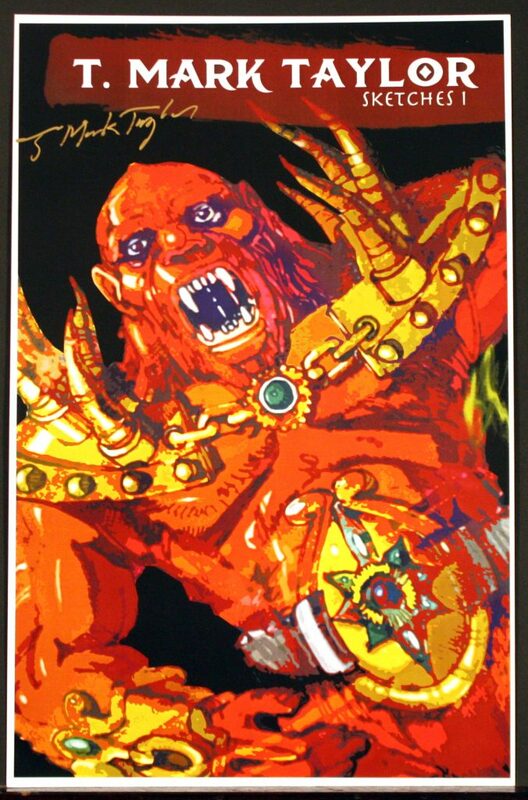 Errol McCarthy was perhaps the most prolific Masters of the Universe artist. 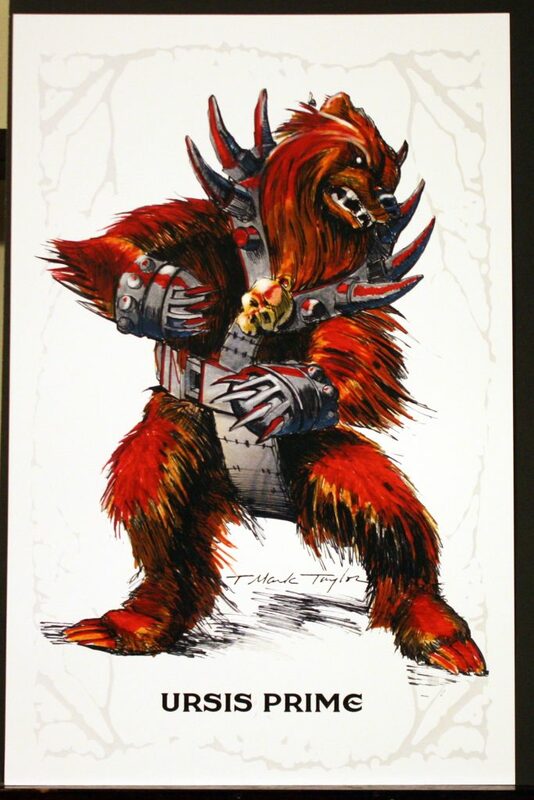 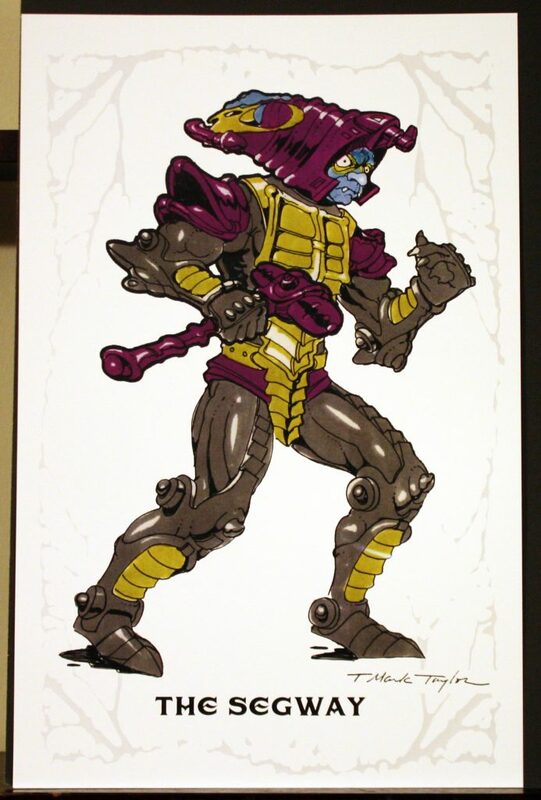 He not only did artwork for cardbacks through the life of the toyline, he also produced quite a lot of illustrations for merchandising and marketing purposes. 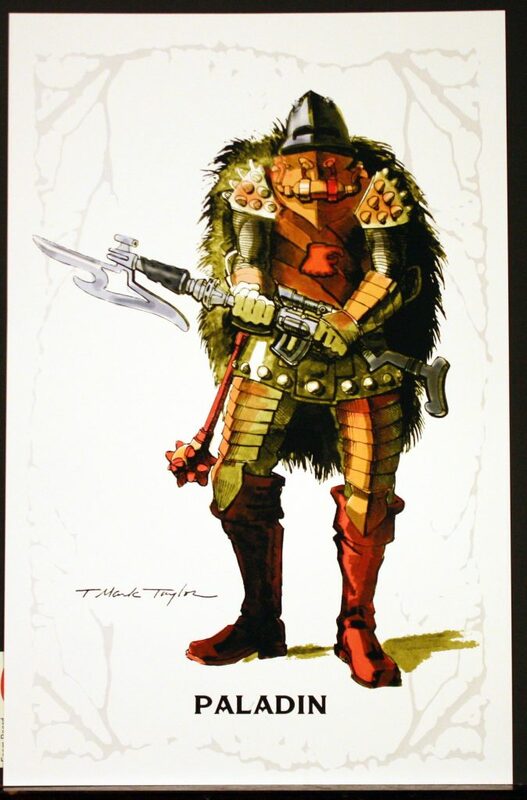 I suspect if there was enough interest, there could be at least another 10-20 portfolios of his work.